Last week we had the uber cute penguins, but going to the other side of the world in the North Pole, another cute creature awaits- the harp seals! 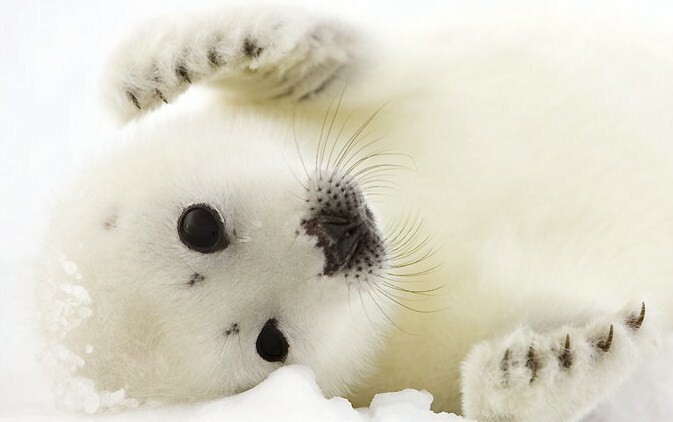 They are extremely cute as they are born with a snow white coat which slowly moults into its grey adult form (still cute)! 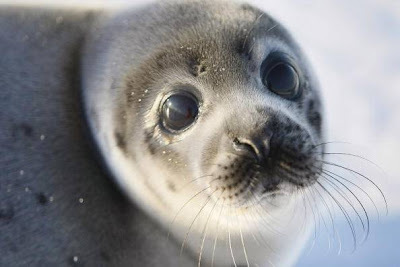 It appears these animals are really social and curious of human behaviour, as many shots I found featured people photographing themselves with the seals. 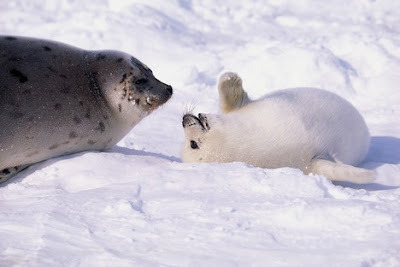 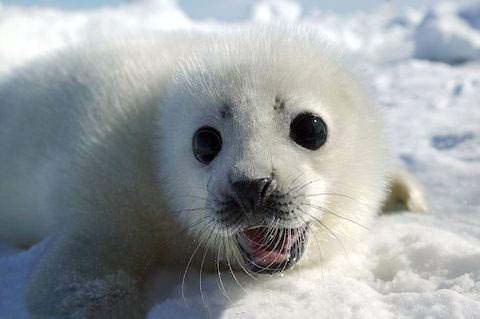 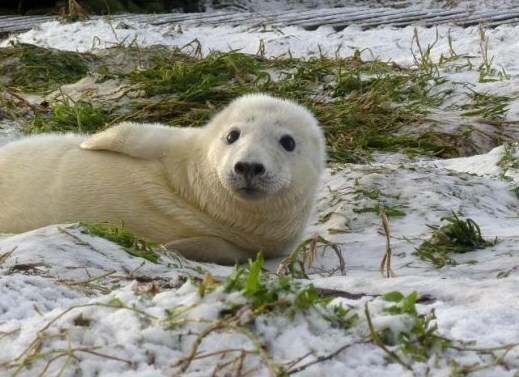 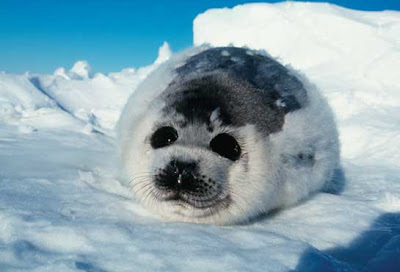 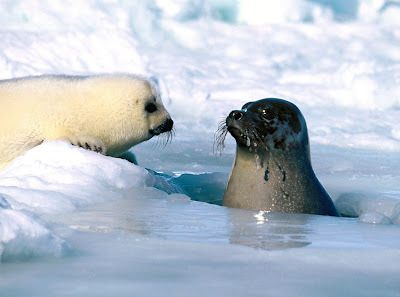 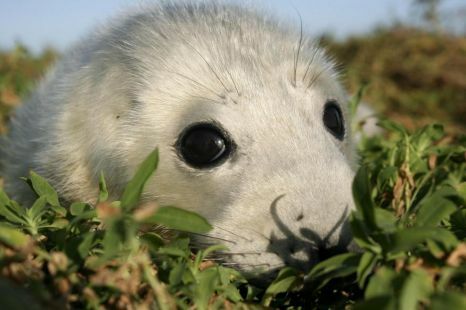 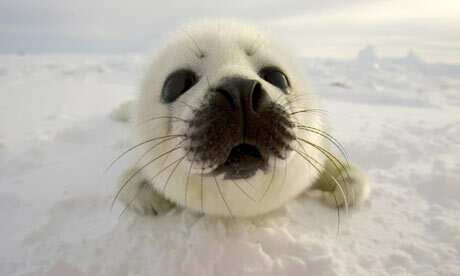 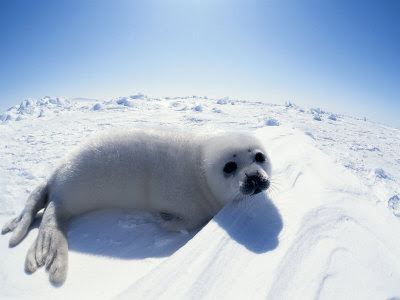 I wish I could go visit one day and see the seal colony for myself (and give them a hug)! 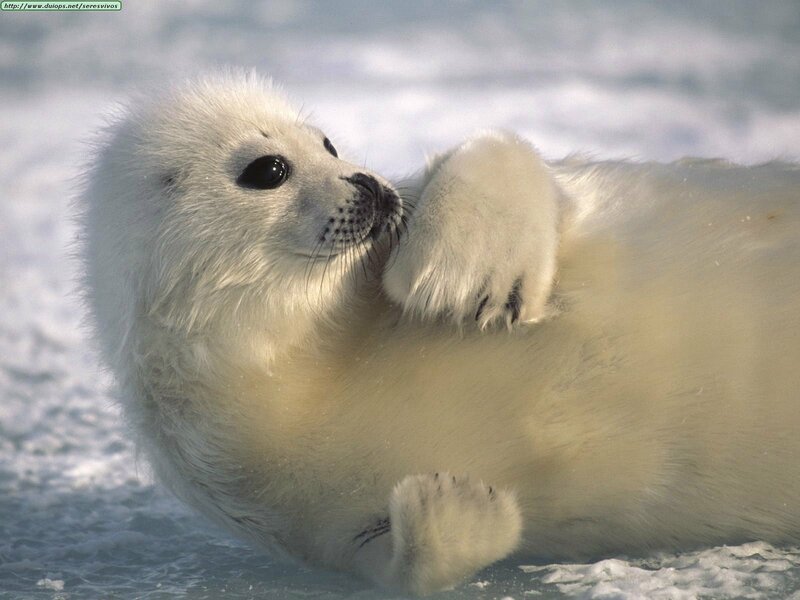 Although they are not endangered, their population is crucially affected by culling in Canada, Greenland and Russia- which should be banned! 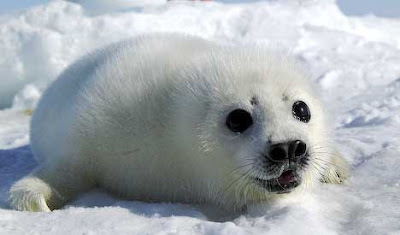 No creature should be hunted down like this, especially such cute ones!